Veloce ® cycling and bike rental company : Nove Colli gpx file for Garmin Edge 800, our cycling training excursion with team car and professional cyclist guide. 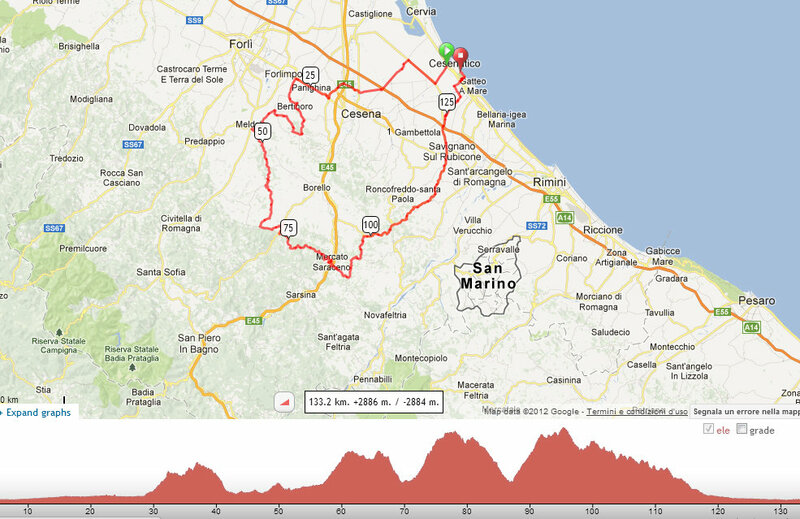 Nove Colli gpx file for Garmin Edge 800, our cycling training excursion with team car and professional cyclist guide. Today we worked to prepare the Nove Colli gpx file that will be uploaded on Garmin Edge 800 GPS. Next week our company will provide for our Australian customer the Nove Colli granfondo cycling training excursion, with full carbon bike rental, team car on the road and professional cyclist guide. Start and finish at Cesenatico on Adriatic sea coast.